Call Us Today: 949-364-6219 We offer special monthly promotions! Residents of Ladera Ranch can have their belongings and unused items safe and secure with the help of Allsize Storage! Located in Laguna Niguel on Crown Valley Parkway adjacent to Costco. 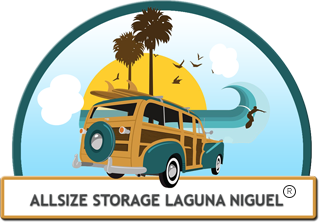 Allsize Storage offers affordable and reliable storage for residents of Ladera Ranch. Our Storage Units come equipped with all drive up access and 11’ ceilings to keep your belongings safe and protected. We include: State of the art surveillance, gated access, keypad entry, and 24 hour surveillance. And many more included on our website. Please call for special monthly promotions! Allsize Storage offers an array of storage units for their clients. Our storage facility is one of the few facilities to offer boat and vehicle storage. We cater to businesses because our facility offers all drive up units with wide roll up doors. Quality and Protection is our number one priority at Allsize Storage, be sure to contact us at 949-364-6219 for any questions about Ladera Ranch storage.